The Lake Erie College of Osteopathic Medicine continues growing rapidly, attracting some of the brightest candidates for the College of Osteopathic Medicine, School of Dental Medicine and School of Pharmacy. While LECOM maintains the second lowest private medical school tuition in the country, these students face mounting debt as they complete their education. Each year, the college conducts fundraisers only for the purpose of providing scholarships to our students. Your support of the LECOM Student Scholarship Fund will help deserving students fulfill their dreams of becoming physicians, pharmacists and dentists. On behalf of Millcreek Community Hospital and affiliate of LECOM Health, I would like to welcome you to the 15th Annual Millcreek Community Hospital Golf Scholarship Classic. The Golf Scholarship Classic has become one of the region’s premier golf outings. Your generous support for the past twelve years has helped us donate more than $700,000 to the LECOM Student Scholarship Fund. The Golf Scholarship Classic helps deserving medical, pharmacy and dental students manage the high cost of their education. To register for the event this year, click the registration button. Your online purchases now will help the Lake Erie College of Osteopathic Medicine Student Scholarship Fund. When you use AmazonSmile to connect with Amazon, you can designate a portion of your payment to the scholarship fund. To shop visit smile.amazon.com and sign in with your personal Amazon account or create a new account if you don’t already have an Amazon account. Shop for books, movies, music, appliances, and more. Anything that you would purchase at the regular Amazon website will be available at AmazonSmile. 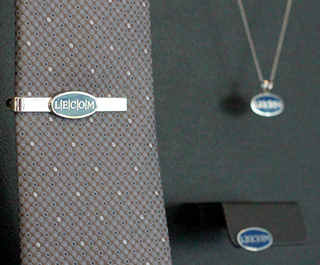 Celebrate the memories, milestones and moments of your LECOM experience with LECOM branded jewelry available through Beeghly and Company Jewelers in Greensburg, PA. By purchasing these items, Beeghly and Company will donate 40% of the proceeds to the LECOM Student Scholarship Fund. In addition, they will donate 20% of all non-LECOM branded merchandise purchased with a LECOM product. Charms and pendants can be personalized with FREE engraving – please visit Beeghlyandcompany.com for details. Purchases can be made in-store or online.